I got a surprise in the mail yesterday from my friends at Hasbro. 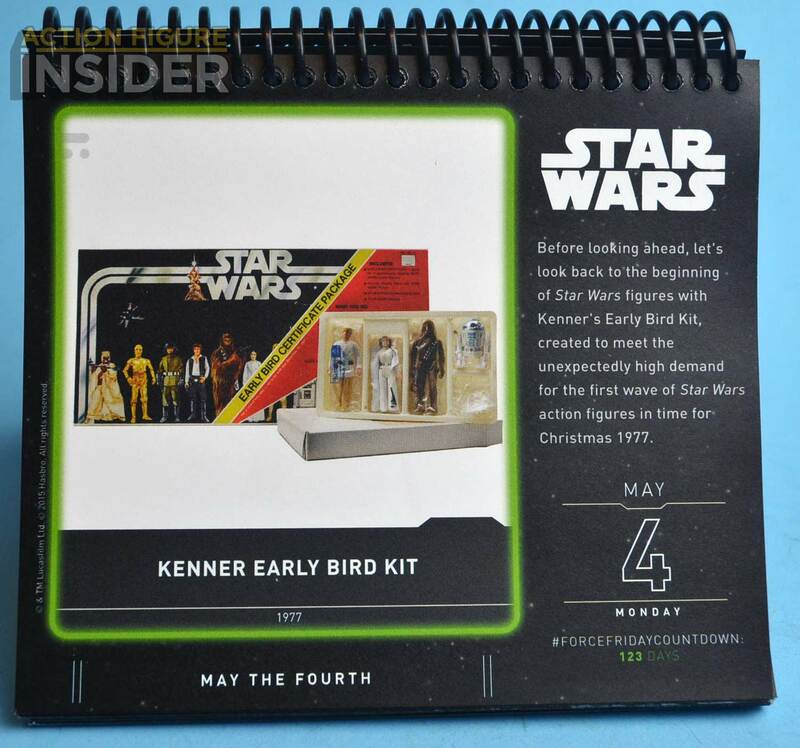 They have created a really cool page-a-day calendar full of Star Wars trivia, important dates and most importantly, TOYS! 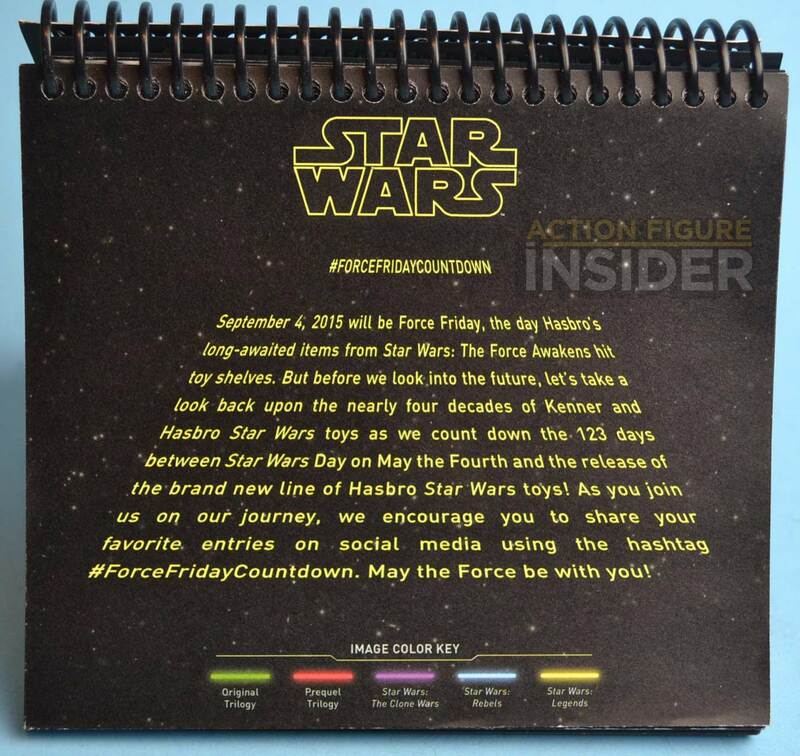 The calendar was written to help us all pass the time until we can buy new toys for Star Wars The Force Awakens on ‘Force Friday’ on September 4th! This calendar was lovingly crafted and painstakingly researched and I just LOVE it. I’m trying not to read to far ahead, but I want to share it with all of you as well. 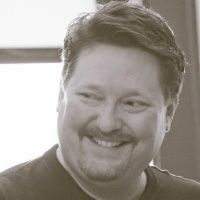 The calendar started back on ‘Star Wars Day’ May 4th, so I’m including pictures of those days in this article so you can all be caught up and we can move forward each day. Here are the catch up days of May 5th- May 11th. Which leads us to today May 12th. We are 115 days until the release of the new tidal wave of Star Wars toys! 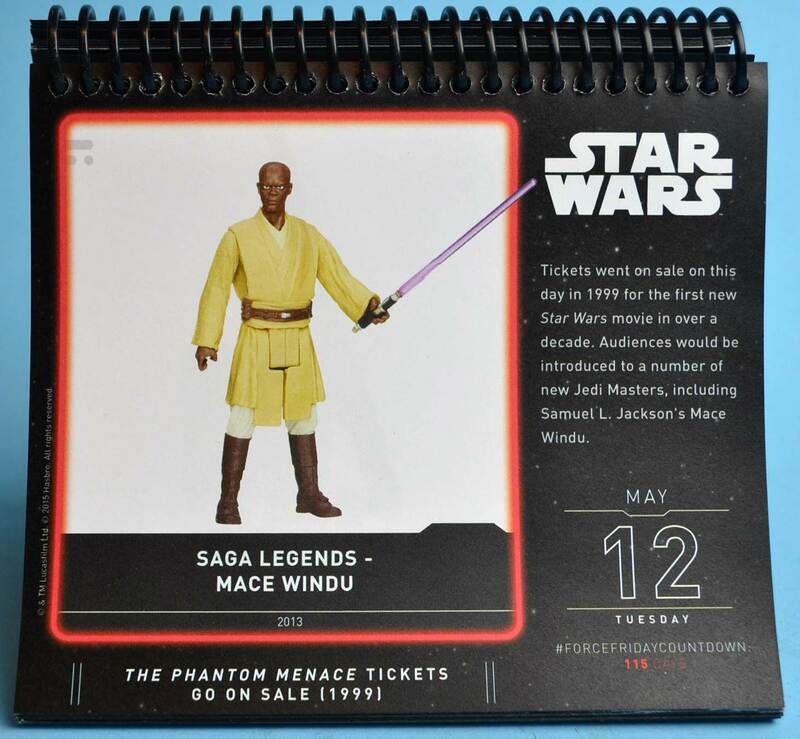 Thank you so much to the Hasbro Star Wars team for sending me this calendar! 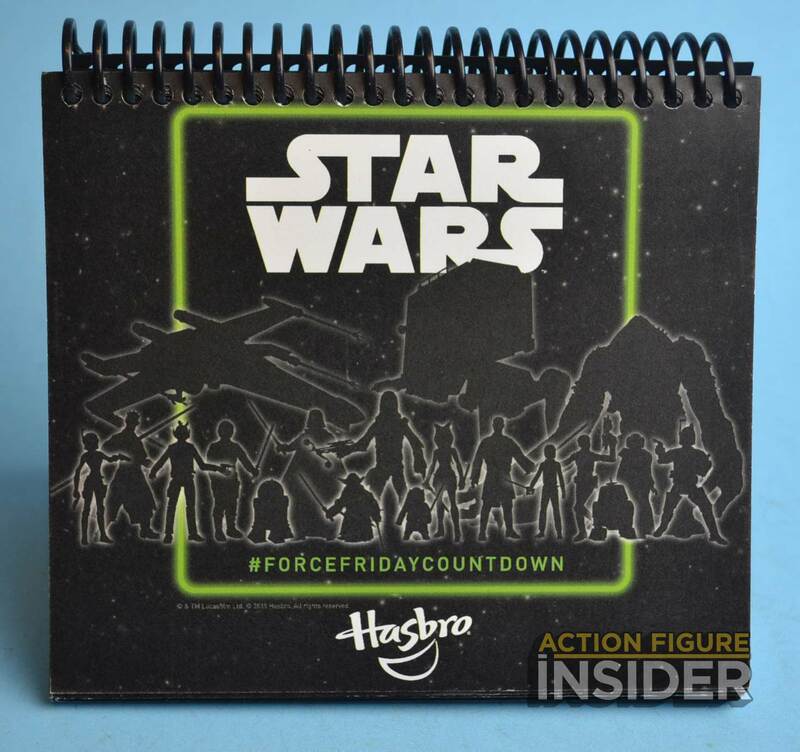 Check back each day here at AFi as we Countdown to Force Friday!